We have a new leader in the rankings at the Packers overtake the Broncos. 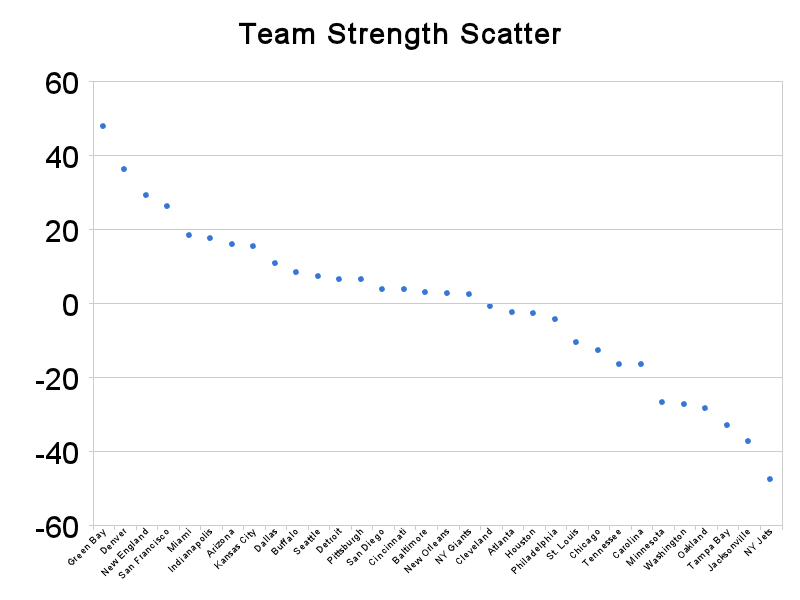 Seattle actually climbs in the rankings due to the improvement in their strength of schedule (SOS), but stays stable in the rankings that removes SOS. 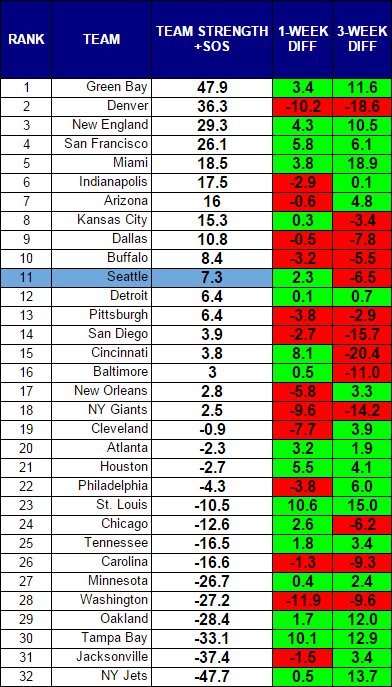 The Cardinals are 9-1 and the Seahawks are 6-4, but the main difference between the two teams as far as elements in these rankings are that Seattle runs the ball far better and the Cardinals have defended the pass far better. Both teams sport a passer rating around 91.0. Seattle scores a few more points. Arizona allows a few less. The Seahawks run for 5.5 yards per carry and the Cardinals are 3.1, while Arizona has a 79.9 opponent passer rating while Seattle is up at 92.7 on the season. Among the teams left on the Seahawks schedule, it is interesting to see how far down Philadelphia is on both rankings. This is due to a very low passer rating and a negative passer rating differential overall. They also allow a ton of points (25.1 ppg).